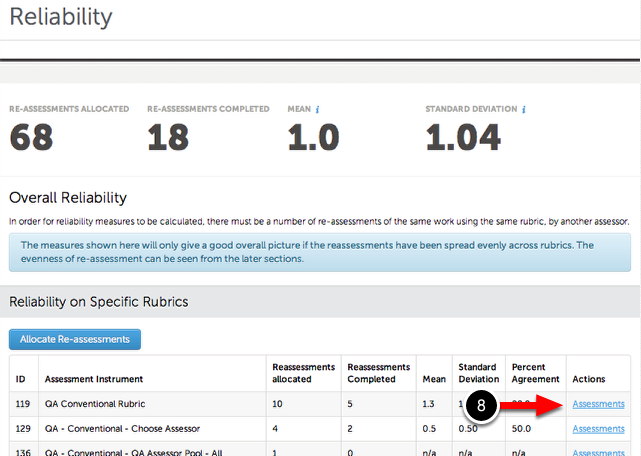 Once you have re-allocated assessments and they have been assessed, you can view these assessment results from the Inter-rater Reliability screen. 4. 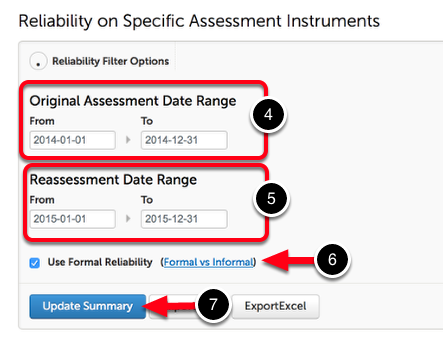 Select a From and To date for the Original Assessment Date Range. 5. Select a From and To date for the Reassessment Date Range. 6. Select whether or not you would like to use Formal Reliability (assessments generated using the Inter-rater Reliability tool). 7. Click on the Update Summary button. 8. 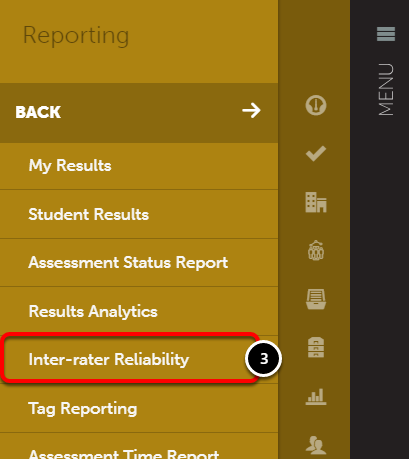 On the Inter-rater Reliability screen, select the assessment instrument for which you would like to view reallocation results, by clicking on the Assessments link. 9. You can transfer or delete the assessment. 10. 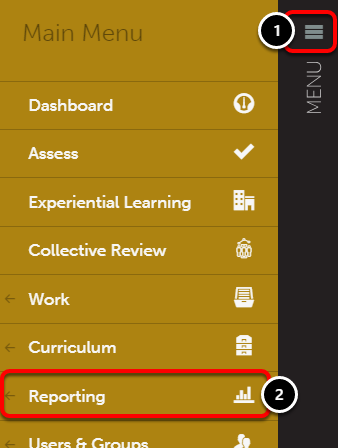 Click anywhere in the row for the assessment to view summary, details, work, reassess, transfer, delete, annotations and/or original assessment. Select an option from the menu.